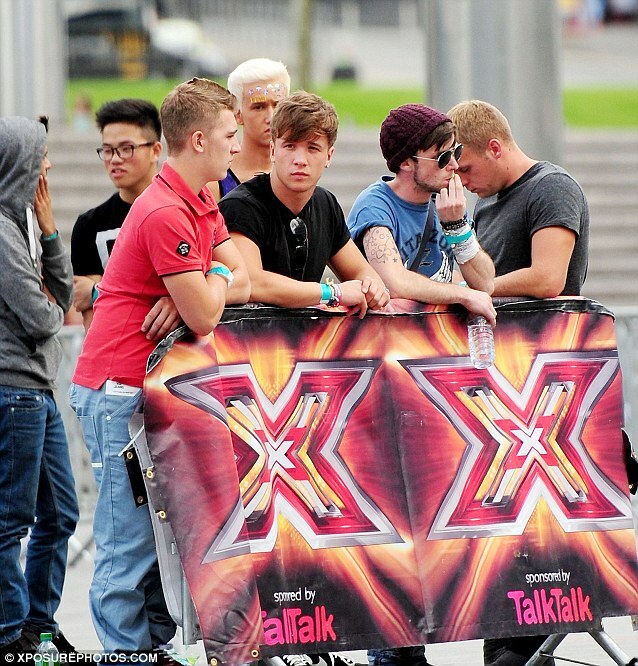 These are the host of hopefuls who arrived at boot camp for the second day of filming for this year's X Factor. 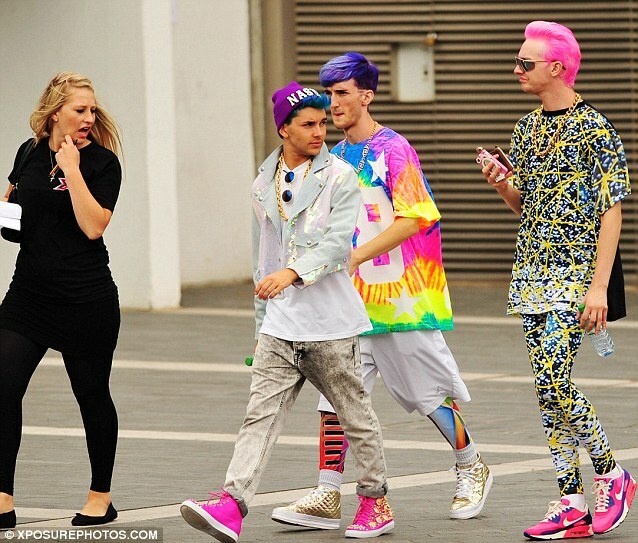 And this year may be the brightest we've seen yet as a number of contestants turned up in an array of neon yellows and pinks. Every year hopefuls make an attempt to stand out in whatever way they can, but the judges may find it hard to forget some of these artists' style choices. Although there a hundreds of new auditionees, this year's show will also see a host of former contestants return to our screens for a shot at stardom. Several rejects decided to re-audition, including last year's boy band, Rough Copy, girl band Dolly Rockers from 2006, solo artist Terry Winstanley from 2011 and singer-songwriter Amy Mottram who wowed the judges last year. Boy band Rough Copy were forced off the show last year after Nigerian-born Kazeem Ajobe didn't get a visa in time to travel to judge Louis Walsh's Las Vegas home. Girl band Dolly Rockers, who first made an appearance on the show in 2006, have also tried their luck again, winning a place at Boot Camp following last week's Wembley Arena auditions. Several solo artists are also bidding for success on the show again, including Terry Winstanley, who got through to Judges Houses in 2011 but failed to progress to the live finals. A source told The Sun newspaper: 'There have been so many recognisable faces on this year's show it's turned into something of a 'best of the rejects' special. A noticeable change from the last series is the introduction of popular celebrity judge Sharon Osbourne, who has taken the place of Tulisa Contostavlos. The 60-year-old businesswoman, music manager and wife of heavy metal singer-songwriter Ozzy Osbourne was one of the original four judges on the X Factor from 2004 to 2007. She joins Nicole Scherzinger, Gary Barlow and Louis Walsh as the foursome who will be putting the hopefuls through their paces. Nicole, 35, looked stunning in a pale blue cut out dress and beige stiletto heels with a gold clasp whilst fixing her hair into two French plaits. Sharon appeared equally as stylish for filming dressed in a pair of black trousers, black top, white jacket and a long Chanel beaded necklace. Gary and Louis also didn't disappoint with Gary in a fitted petrol blue shirt and Louis in a fetching pink shirt.